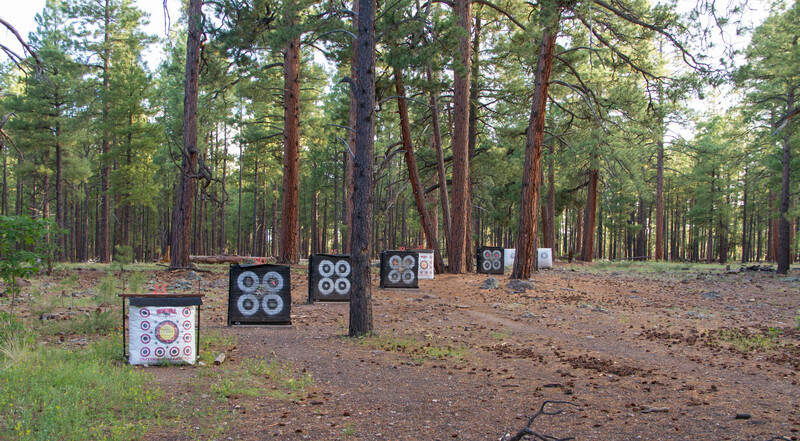 Flagstaff Archers is a ‘Members Only’ organization with a range operated under an agreement with Coconino County and located at Fort Tuthill County Park. The range is located in the county park, adjacent to the Luke AFB MWR facilities. The range at Fort Tuthill is divided into two specific areas: one for sight-in targeting at 10 yard increments up to 80 yards for a total of 14 targets and the second area contains a 3-D target walk throughout the 20 acre range. 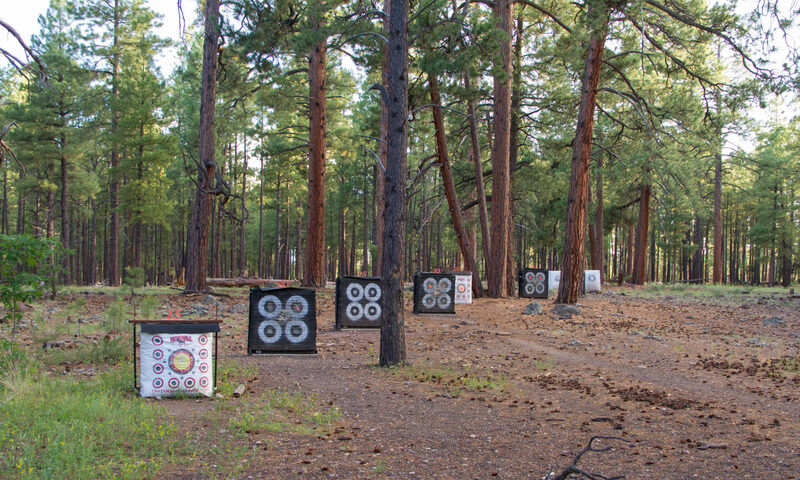 The range simulates being in the natural environment of the animals and allows the archer to practice shots on targets ranging from javelina to elk. The course provides an excellent challenge to novice and expert archers alike. It is an excellent place to relax and hone one’s skills for their next hunt or to just enjoy the outdoors, friends and an historic sport.